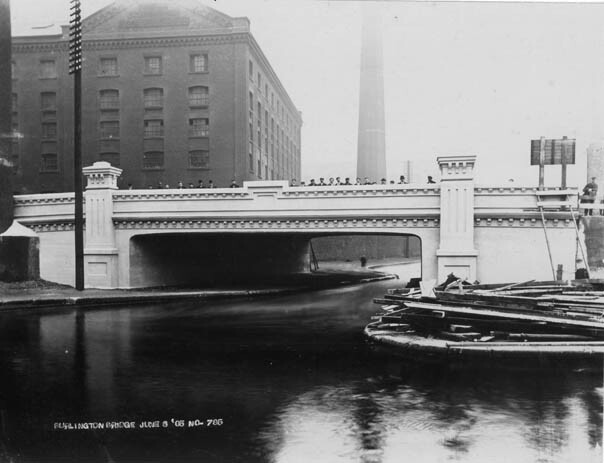 This photograph shows Burlington Street Bridge after it was rebuilt. The old stone humpback bridge could not cope with the traffic. Photograph reproduced with kind permission of the Liverpool Archive Office.